Dr. Barth Netterfield, a leading cosmologist in the University of Toronto’s Departments of Physics and Astronomy, is also a practicing Christian for whom the stars and the distant planets increase his awe of God. Netterfield was the counterpart to the agnostic Mark Devlin in the highly acclaimed documentary film BLAST! (“Balloon-borne Large-Aperture Sub-millimeter Telescope”), which follows a set of scientists to Antarctica as they launched a balloon-borne telescope to study galaxy formation in the early Universe. Dr. Netterfield’s public lecture will describe his research in cosmology (balloon-borne detection of microwave background radiation) and giving his perspective as a Christian in the field of cosmology. Dr. Netterfield received his Ph.D. from Princeton University in 1996, followed by post-doctoral work at Princeton and California Institute of Technology. 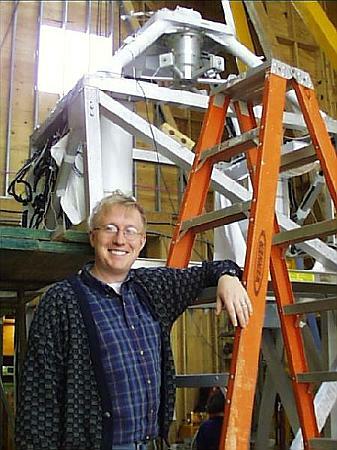 Current research includes measurement of the Cosmic Background Radiation, and balloon-borne telescope technology. Sponsored by CSCA in conjunction with the Hamilton Area Science and Religion Forum. Location: University Club, McMaster University. Details here. You may register your interest in this event and share it with your friends using our Facebook event page.